I can’t afford an attorney, can I still make a lemon law claim? Our firm does not charge anything to the consumer. All of our fees and costs are paid directly by the automobile manufacturers. What if my vehicle is out of warranty? If your vehicle is now out of warranty, but was under the original manufacturer’s warranty when the repairs were performed, you may still be entitled to relief under the lemon law. 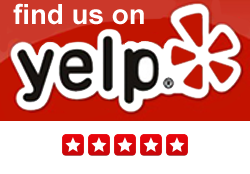 Repairs covered by an Extended Service Plan do not count as warranty repairs under the California Lemon Law. What is a “lemon law buyback”? 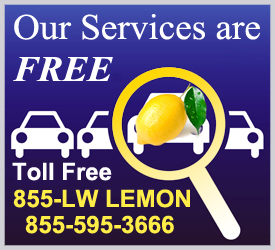 A lemon law buyback occurs when the automobile manufacturer buys your car back from you. When this happens, you are reimbursed for your down payment, all of your monthly payments, your current registration fee, and the automobile manufacturer pays off any outstanding auto loan. The manufacturer then takes the vehicle from you and brands the title as a lemon law buyback. The only money that is deducted from your refund is the mileage offset which is calculated by the mileage on the vehicle when the problem first began, divided by 120,000, and then multiplied by the purchase price of the vehicle. This equation is set forth in the statute and this amount is considered to be a credit to the manufacturer for the “good miles” that were on the vehicle before there was anything wrong. The only other items that may be deducted from your refund include items that were added onto the purchase of the vehicle such as aftermarket service contracts, aftermarket alarm systems, lojack, accessories such as spoilers, and any other modifications to the vehicle such as bedliners, lift kits, etc. Each manufacturer looks at these items differently and there is no hard and fast rule about what will be included in a buyback versus what will be deducted when it comes to these items. If the manufacturer will not buy my car back, does that mean that I don’t have case? No, this is not true. Many times, the manufacturer does not believe that a defect rises to the level of a “substantial impairment” and therefore, they will not buy the vehicle back. However, in most of these cases, the manufacturer will pay what is called a “cash and keep” settlement. In this type of settlement, the manufacturer will pay you a sum of money for the trouble that you have had with your vehicle, but at the end of the claim, you will keep the vehicle (and dispose of it as you see fit, either by trading it in, selling it privately, or keeping it). I bought my car used, can I still make a lemon law claim? If you purchased a used vehicle that is still covered under the original manufacturer’s warranty, or you had it repaired under the original manufacturer’s warranty and it is now out of warranty, you may still be entitled to relief under the lemon law. If you purchased a “Certified Pre-Owned” vehicle, the manufacturer will often extend the warranty, so depending on the mileage, you may still have a viable lemon law claim. What if I leased my car, can I still make a lemon law claim? Yes, leased cars are covered by the lemon law. Each case is different and each manufacturer handles these types of cases differently. With that said, we have worked with the same attorneys for the automobile manufacturers for the last eight years and we have an excellent working relationship with all of them. We will make every effort to make sure that your case is settled as quickly and efficiently as possible while obtaining the best possible result for you. These cases rarely go to trial and it is extremely unlikely that you will have to go to court for any reason while pursuing a lemon law claim. Do I have to go through arbitration before I can start a lemon law claim? Absolutely not. In fact, sometimes, the arbitration results are so unfair, that consumers come to us after losing at arbitration! What if I purchased the vehicle outside of California? To qualify for the benefits of the California Lemon Law, the vehicle must have been purchased, registered, and repaired in the state of California under the original factory warranty, and there is only one exception to this rule. If you are active duty military, you may still receive the benefits of the California Lemon Law as long as you purchased the vehicle in the United States from a manufacturer that also sells vehicles in the state of California, and you are either (1) a California resident or (2) you were stationed in California when you purchased the vehicle or at the time you began your lemon law claim.